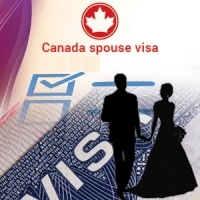 Immigration, Refugees and Citizenship Canada announced the visa processing for the spouses of the permanent residents and Canada Citizens. There is a great relief to the sponsored partners as the Government has issued comprehensive list of the countries and the processing times. The spouses or dependents applied for sponsored visas from these countries, Switzerland, Brazil, Iran, Israel, Taiwan, Australia, Spain, France Morocco, Algeria, Tunisia, and Ukraine will have less processing, means within one year. The other countries will have some more time, slightly over one year. The sponsored applicants can apply for the visas by staying inside the Canada or outside the Canada. The new liberal Government in the Canada Immigration’s annual plan has allocated good numbers for the family class immigration. Family Unification visa programs quota also has been increased to facilitate the valuable contributors to the economy. The permanent residence to the partners will be granted very early and to enable the permanent residents to build new homes and boost their careers in the Canada. The comprehensive list of the processing times for various countries can be found at the official sources. Earlier the processing time for the family class immigration was really tough it used to take 26 months just to process an application.